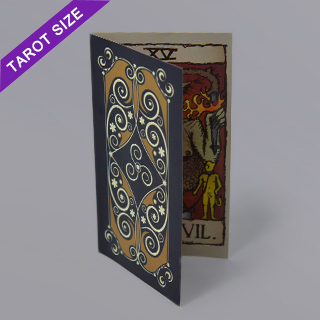 Customize your own tarot size instructions booklet. 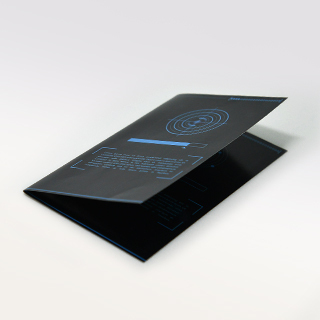 The bi-fold rulebook has 4 sides and opens up like a book leaflet. 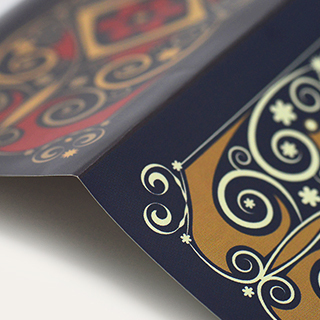 Your rulebook design will be printed onto high quality 128gsm art paper and finished with a water varnish. Simply upload your design onto our online builder and you can even preview your final outcome before you order. 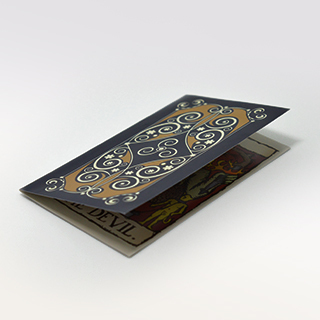 Complete the set with a deck of tarot size cards and a game box. We offer worldwide shipping and there is no minimum required.